Whether you’re a lifelong vegetarian or just recently started phasing meat out of your meals, you’ve probably been confronted with some misconceptions about your dietary choices. Society has led us to believe that we need to eat meat in order to grow big and strong, but that’s not necessarily true. The good news is that there’s a much healthier way to build a strong, beautiful body: vegetarian bodybuilding. It’s easier than you think to eat more plants and little to no meat. You just need to rethink your protein sources and follow a well-informed meal plan to accommodate your fitness goals. You can even be a part-time vegetarian and still benefit greatly. It’s time to pull back the curtain and debunk the vegetarian myths that makes bodybuilders reluctant to consider adopting a plant-based diet. This is the most common myth about vegetarian bodybuilders and athletes. While a meat-based protein diet looks more convenient on the surface, a little education and reconditioning go a long way. As a vegan, I get all the protein I need these days, and without much effort. 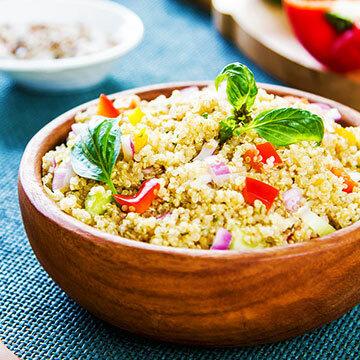 Of these, only quinoa and tofu are complete* proteins. Incomplete proteins don’t need to be eaten at the same time in order to be used by the body effectively, as once was thought. You just need to eat these complementary proteins within 24 hours. Last but not least, I consume plant-based protein shakes throughout the day that make up to 40-50% of my daily protein needs. As a vegetarian bodybuilder it’s almost impossible to dial in my macronutrient ratios otherwise. This practice is consistent with almost every vegetarian bodybuilder I’ve interviewed as well. Here’s a dairy-free recipe I use: Peanut Butter-Mocha Protein Shake. *Complete proteins contain all nine essential amino acids your body requires daily, and they are often referred to as high-quality proteins and necessary for optimal muscle growth. 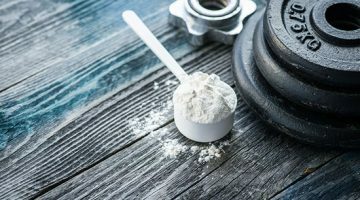 Your body breaks down the protein into amino acids, which repair and build tissues in your body, provide energy, and perform numerous other body functions. Many people believe that vegetarian diets lack the nutrients that bodybuilders need to sustain energy for physical exertion. 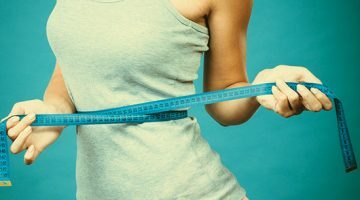 Although there’s some truth behind this myth, it can be easily overcome with vitamin-rich foods and natural supplements. On a vegetarian diet, you need to closely monitor your intake of vitamin B12, iron, and zinc, because plant-sourced nutrients are absorbed differently in the body than meat-sourced nutrients. 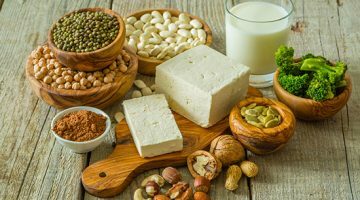 In fact, research published in the “Journal of Clinical Chemistry” found that over 60% of vegetarian test subjects were deficient in vitamin B12, supplements of which are regularly prescribed by doctors. 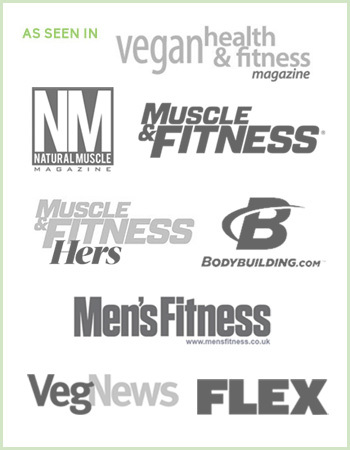 No credible scientific or medical evidence exists to support the idea that vegetarian bodybuilders can’t achieve the same or superior muscularity, proportion, symmetry, and definition as their meat-eating counterparts. Those who say different can only point to biased antidotes, not real science. Just ask Germany’s strongest man and first ever “Vegan Athlete of the Year,” Patrik Baboumian what he thinks about this myth. His personal bests: Bench 210kg (462lbs), squat 360kg (793lbs), and deadlift 360kg (793lbs). This man is a beast, plain and simple. Patrik became a vegetarian in 2005, and he was unsure about how it would affect his performance and strength. Naturally, he expected at least a small inverse effect on both. Patrik was shocked to find that he was actually making solid gains in muscle mass and strength with a vegetarian diet. So what fuels this strongman? Patrik’s main protein sources are tofu, nuts, beans, and soy milk. His sources of carbohydrates are oats, rice, potatoes, and tons of fruits and veggies. As for the remaining calories and macros needed to gain muscle and strength, he uses soy-based protein shakes to fill in the gaps. I have a similar nutritional profile and outlook. My diet includes complete proteins in combination with complex carbs and healthy fats, and I have no problem making consistent gains. There are many more examples of vegetarians who dominate, and they’re likely to grow in the months and years to come. Vegetarian bodybuilders also tend to have more energy than their meat-eating competitors, meaning they can train harder, last longer, and compete better. One thing seems definitely clear: they are happier and less stressed. Think back to how you feel after eating a huge dinner of meat and potatoes. Heavy foods require a great deal of energy to digest, resulting in lethargy and less energy for your workouts. A plant-based diet is an advantage in bodybuilding—you will recover faster and have more energy. Just because someone considers themselves vegan or vegetarian doesn’t necessarily mean their diet is healthy. Poor food choices are poor food choices, regardless of dietary orientation. Ice cream sundaes, chips, and french fries can be considered “vegetarian foods,” but they certainly aren’t healthy options. Numerous studies, however, show that those who follow well-balanced vegetarian diets have a lower incidence of obesity and fewer chronic health problems, including some cancers, heart disease, diabetes, and stroke. Let’s be honest here for second, bodybuilders and fitness competitors are subjected to a limited menu anyway, so I’m not sure what all the fuss is about. After interviewing several vegetarians, it became clear to me that they were enjoying a wide range of foods and didn’t feel limited. Fear of the unknown accounts for almost every myth about vegetarian bodybuilding. It’s time to wake up to the power of plants. Let’s face it, the meat industry is a powerful juggernaut that has encouraged our eating habits for decades now. I’m not saying meat itself is the problem. It’s the way meat is being produced that’s the problem. I used to think that eating more plants and less meat was unappealing and too much of a challenge. Then I realized that being a vegetarian isn’t a chore—it’s a choice. And a good one. Eating more plants and less meat is better for our bodies and our planet. In a pleasure-seeking society, we also forget that the purpose of nutrition isn’t pleasure. It’s health. A vegetarian diet doesn’t have to be boring by any means. Instead of following the outdated paradigms of the past, pave your own way to nutritional success. We can retrain ourselves to eat what’s healthy instead of what’s easy. If you’re worried about the social pressures or being insulted, please check out “How to Tell People That You’re Vegetarian” for some guidance. 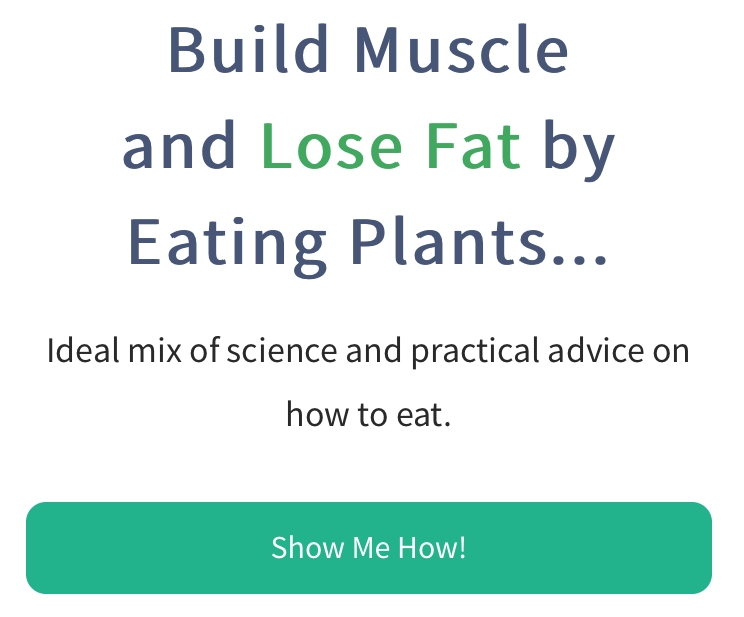 Instead of succumbing to the long-standing myths perpetuated by cut-and-paste articles spread throughout the Internet, it’s important to learn the truth about building muscle without meat. The good news is, we are witnessing more health-conscious athletes move toward plant-based nutrition. The market reflects what’s in demand, and we are starting to see this movement go mainstream. 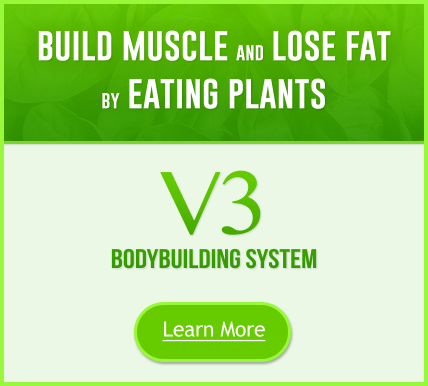 For more information about gaining lean muscle mass by eating a whole food, plant-based diet check out https://www.vegetarianbodybuilding.com.